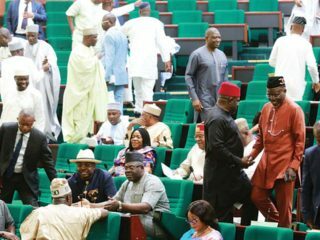 When the current dispensation began on May 29, 2015, the Federal Government commenced with a big political fight between the executive and the legislature right from the proclamation of the 8th National Assembly on June 9, 2015. 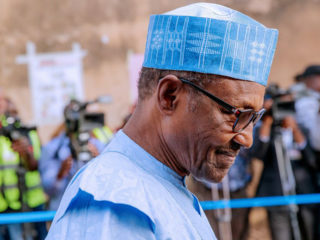 As the dispensation rounds off, the two arms of government are facing another round of face-off that involves adult Nigerians through a general election. There is no doubt that the fight for revenge and renewal would transcend the presidency to the senate. Consequently, the following Senatorial districts would be the vicarious battlegrounds for Super Saturday, as the candidates of APC and PDP fight for the soul of Nigeria. A LOT of things make the contest for Kwara Central Senatorial District unique. It is the seat of the incumbent President of Senate, Dr. Bukola Saraki, and it was won in 2015 while he was on the platform of APC. Saraki has crossed over to the Peoples Democratic Party (PDP) and his main challenger emerged on the APC platform. Again, while Saraki is a medical doctor-turned politician, his rival is also a medical doctor. Saraki’s return to PDP inspired the ruling APC to ambitious boasts about the likelihood of his eventual decimation through federal might. Minister of Information and Culture, Alhaji Lai Mohammed, who has been positioning himself as the new kingmaker and political godfather of Kwara State chapter of APC, declared that next Saturday’s election would mark the end of Saraki dynasty.Perhaps waxing hopeful on the promise of the impending Senatorial contest, Oloriegbe, told journalists in Lagos recently that the socio-economic condition of the state, especially the Ilorin Emirate, could be traced to 16 years of Saraki’s stranglehold on the politics of Kwara State. The APC Senatorial candidate stated that the emirate has resolved to replace the Senate President with a true Muslim who understands the norms and culture of the people of the emirate. Reading from a text titled ‘Restoration 2019: Representation, Advocacy for Real, Sustainable Development of Ilorin Emirate,’ Oloriegbe stated: “The level of socio-economic slide and challenges in the communities that make up Kwara Central Senatorial District and indeed the entire Kwara State is very concerning. Contending “In today’s Kwara, Bukola Saraki is no longer the candidate to beat,” Oloriegbe said, “Kwara people have seen the light and say oto o ge, enough is enough. No more Saraki dynasty control over the politics and affairs of the people.”But the Senate President, who is also the Director General of PDP’s presidential campaign, laughed at Oloriegbe’s claim, saying that he (Oloriegbe) is a satellite politician that drops bye at the approach of every election. Pooh-poohing the oto o ge slang, Saraki recalled that when Oloriegbe was in Kwara State House of Assembly, his candidacy was sponsored by late Dr. Olusola Saraki, stressing that his only electoral victory was on the wing of the Saraki dynasty. “So, if he, like others, have the sole agenda to destroy that dynasty without promising the people any developmental agenda, then they have failed. Look at his speech, he never promised the people anything good or developmental in nature. They only target Saraki. That ‘bring him down’ syndrome, empty envy, petty jealous is unIslamic, and not on sync with the true values of an Ilorin man. HERE is one of the districts, where the table turned. Shekarau was in APC while Kwankwaso was in PDP. Shortly before the 2015 poll, Kwankwaso moved over to APC, whereupon Shekarau took his place in PDP and became Minister of Education.At the build up to the 2019 poll, the two former governors of Kano swapped positions, thus setting up a unique contest to determine between them who is the more popular. While Senator Kwankwaso emerged as the undisputed champion of his side, Shekarau passed through a senatorial primary. After voting by indirect method, chairman of APC primary election committee, Dr. Saleh Garba, announced that Shekarau garnered 973,435 votes to beat two other contestants, Hajiya Laila Buhari (3,004) and Sulaiman Halilu (1,001). Backed by a vociferous mass of followers known as Kwankwasiyya Movement, the incumbent Senator presents as big a contrast to the self-effacing crestfallen former education minister, who was said to have defeated Kwankwaso in the 2003 governorship with the help of General Muhammadu Buhari’s influence.All eyes would be on the two political rivals as they wrestle for the Kano Central Senatorial seat to represent the metropolitan district in the Ninth National Assembly. THESE candidates met in 2015 and Ekwunife trounced the then national chairman of All Progressives Grand Alliance (APGA). 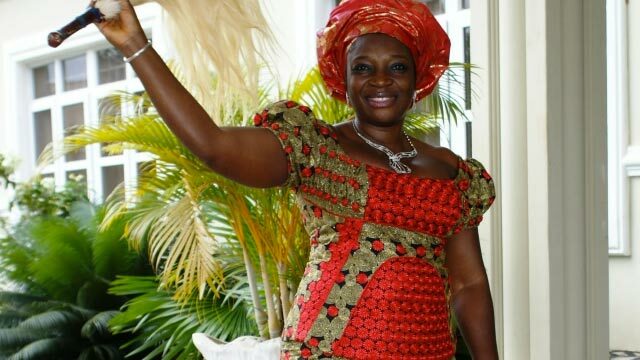 However, through the instrumentality of an inexplicable judicial pronouncement at the Court of Appeal, Enugu Division, Senator Ekwunife’s election was upturned by the appellate on the extra judicial finding that the primary election that threw her up, as the PDP Senatorial candidate, did not meet the stipulations of PDP constitution. Up until this moment most voters in Anambra Central are still in shock over the denial of their mandate in a convoluted political deal-making that robbed the Senatorial zone of representation for close to three years. Although Ekwunife had crossed over to the ruling All Progressives Congress (APC) in anticipation of squaring up with Umeh, who she was confident to defeat any time any day, the rerun poll ordered by the Court could not hold. Again, following some judicial somnambulism and intricate high wire politics, the court held that only candidates that took part in the 2015 poll were qualified to take part in the rerun. That decision opened the tiny aperture through which Umeh sneaked into the Senate. On Saturday, however, situation and circumstances will bring the two archrivals for a repeat contest. Shortly after former Governor Peter Obi was selected as the presidential running mate to Alhaji Atiku Abubakar, Senator Ekwunife was prevailed upon to run on the PDP platform for the Anambra Central Senatorial District, thus reenacting the 2915 scenario. The Senator has been fighting insinuations that her political ascendancy could only be traced to her marriage to the former Lagos State governor. “Most people will say because you are married to Asiwaju, you are so privileged and that. Yes, I am privileged to be married to him, but it has been the work of two, not one person,” she had stated.Although Senator Tinubu explained that her efforts to get more women into elective position usually elicited preference for appointive offices, some of her constituents say it was time another person goes to the Senate to represent Lagos Central. Those who are rooting for Tinubu’s exit, especially from the Surulere area of the state, argue that if her husband had to stop Senator Olurunimbe Mamora (Lagos East) from taking a second term in the Senate, Senator Remi should be contented with just two terms. Signatories included, as issued by Dr. Amos Fawole, Alhaji Alfa Adeoye, Chairman Surulere LGA, Engineer Kehinde Fasasi, Chairman Eti-osa LGA, Mr. Rotimi Kujore, Chairman Lagos Island LGA Mr. Malomo State Exco, Mr. Mike Kolawole Vice Chairman Apapa LGA, Ajisefini Fatai Acting Chairman Apapa LGA, (Lagos Central Leaders) – Senator Kofo Bucknor Akerele, BOT member Lagos, and the State Youth leader, Mr. Adeniyi Adams. Onitiri’s ambition received further boost when 24 other political parties endorsed him as their consensus candidate for the 2019 Lagos Central Senatorial election, just as three groups namely, Council of Lagos State Indigenes, Eko Foundation and Omo Eko Pataki Group, have also pledged to mobilise support for his poll triumph on Saturday. AT the point of serving out his constitutionally approved two terms as governor of Abia State, Senator Orji displaced Senator Nkechi Nworgu. Nworgu migrated to APC and secured the party’s ticket to contest the Senate seat currently occupied by Senator TA Orji. The former Chairman of Senate Committee on Banking and Financial Institutions accused Senator Orji of non-performance, assuring that she was going to provide effective representation for the people of Abia Central. But pointing to the subsisting power sharing arrangement in the state, Senator Orji said Senator Nworgu should reflect on fairness and remember that the Senate of the Federal Republic of Nigeria is no longer a place for fashion show and sharing money.By Saturday the war of words would shift to the polling units, where the electorate would hopefully be the ultimate arbiter. CHAIRMAN, Senate Committee on Domestic and Foreign Debts, Senator Shehu Sani, is fighting for the electoral battle of his life. It was a battle that beaun at the party level when his local nemesis, Governor Nasir El Rufai, insisted on supplanting him with his Special Adviser on Politics, Mallam Uba Sani. Senator Sani had opportunity to move out of APC alongside other political Argonauts who felt that the ground was no longer level in the ruling party. However, by the time he saw through the shenanigans of APC leaders, especially the national chairman, Comrade Adams Oshiomhole, it was too late to secure a leg room in the alternative mega party, PDP. Although Oshiomhole was determined to save the Senator’s political future, that bravado melted when Kaduna State governor threatened to level his private building in Kaduna the same way the government removed concrete structures from Senator Hunkuyi’s property in the city.Finding shelter in Peoples Redemption Party (PRP), it was easy for the Senator to pick the party’s ticket for Kaduna Central Senatorial District. But on Saturday, he would be facing Governor El Rufai’s shadow, the APC candidate, Sani and the candidate of PDP. Although very popular in Kaduna, the fair-skinned activist would have an uphill task transforming his street popularity into electoral advantage to poll more votes than the two other contenders for his seat.Sani, the Special Adviser to Gov. Nasiru El-Rufai on Political and Intergovernmental Affairs, had picked the APC ticket after reportedly polling 2,088 votes to defeat incumbent Sen. Shehu Sani, who was allocated 15 votes despite his withdrawal from the primary election. Ondo Central (APC’s Senator Tayo Alasoadura versus ZLP’s Dr. Olusegun Mimiko, PDP’s Ayo Akinyelure) APART from his initial misunderstanding with former Lagos State governor, Tinubu, Senator Alasoadura has been having it easy with elections into the Senate. By Saturday, he would be seeking the mandate for a third term in the Red Chamber. Although he boasted that he had defeated his two rivals in the forthcoming poll before, he confessed that the presence of immediate past governor, Olusegun Mimiko, was giving him some cause to worry.After initial posturing for a possible presidential contest, Mimiko did a sudden political gymnastic and announced interest to contest Ondo Central Senatorial seat in Saturday’s poll on the platform of inchoate Zenith Labour Party (ZLP).Like Senator Shehu Sani in PRP, it is not known how far the remote stature of ZLP would hurt the former governor’s popularity and his race for Ondo Central Senate race. BOTH contenders for Borno Central seat were of the ruling APC. But as soon as Alhaji Muhammed Abba-Aji lost the party’s governorship ticket to Governor Shetima’s protégé, he defected to PDP. Abba-Aji, having won PDP’s ticket for Borno Central Senatorial District, is ready to settle scores with the man who denied him a governorship ticket. What makes this contest interesting is that Borno has a history of state governors losing senatorial contests, ranging from Goni to Senator Ali Modu Sheriff.Interestingly, Abba-Aji was a Senator in the 5th Senate (2003 to 2007). How far his pedigree would be brought to bear in the contest against the outgoing state governor, Shettima, would be seen on Saturday.